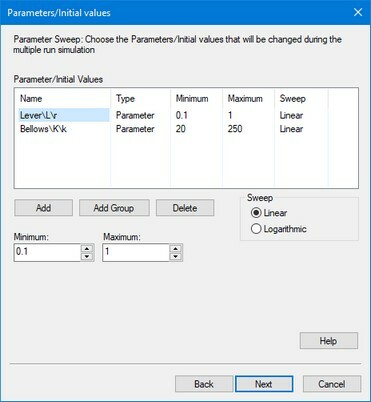 Using the Parameter Sweep option of the Time Domain Toolbox, you can perform a predefined number of simulation runs with variation of parameters / initial values. 1. From the Tools menu select the Time Domain Toolbox and then Parameter Sweep. 4. If you do not want to use a result after simulation, enter nothing here. 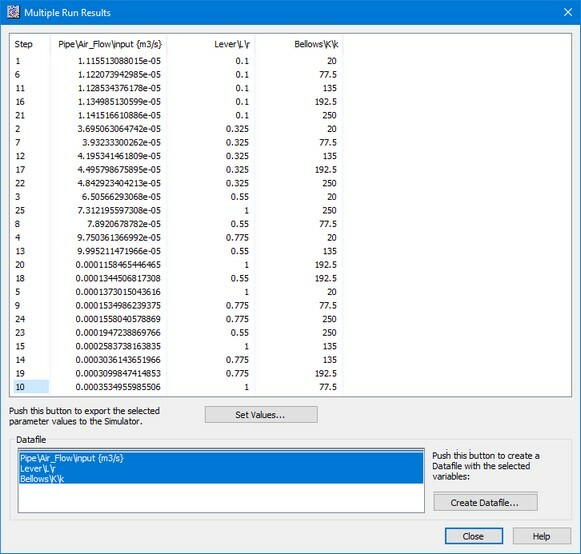 If you like to present a result after the simulation, enter it here using the various options of the window. 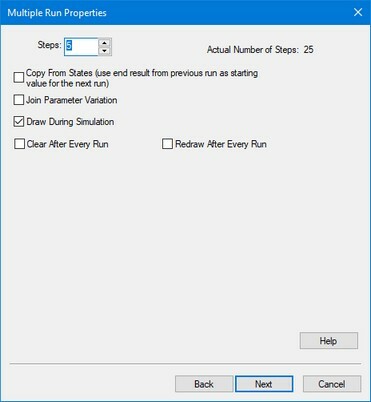 • Steps: Number of simulations runs. • numerical output of the parameter sweep. • Join Parameter Variation: Change all parameters simultaneously. • Clear After Every Run: Clear the simulation plot when a new simulation run starts. • Redraw After Every Run: Update the scaling after every run. 6. Select the desired run options and click the Next button. A window will open with a summary of the chosen options. If your are not satisfied you can use the Back button to go to a previous window and change settings. 7. Click the Finish button to close the Multiple Run Wizard. 8. 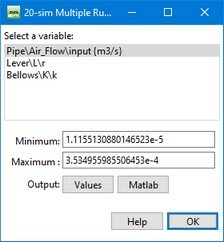 From the Simulation menu click the Multiple Run command to perform the Parameter Sweep. • Values: Choose this button to open the list that shows the numerical output of the parameter sweep. • OK: Close the Multiple Run Results Window. 9. 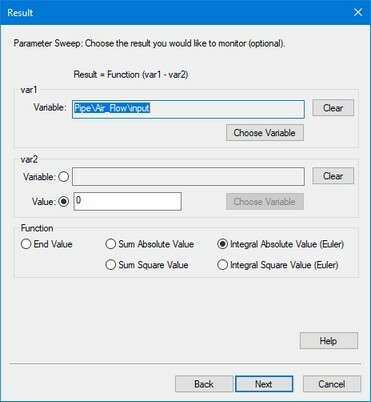 By choosing the Values button, a new window is opened, showing the numerical results of the parameter sweep.